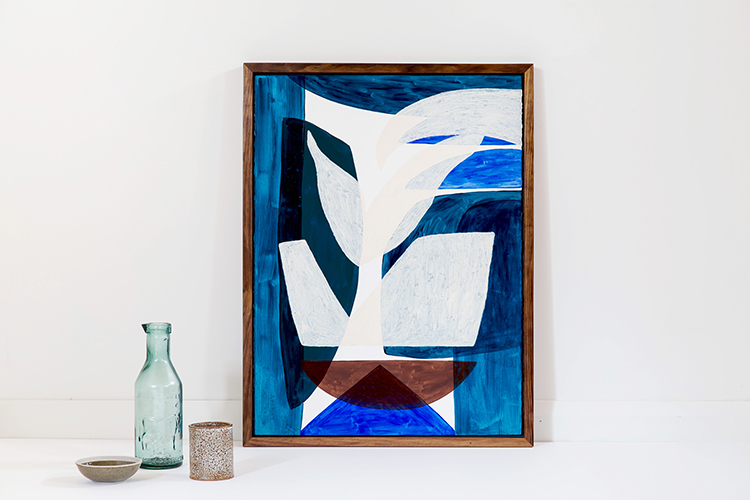 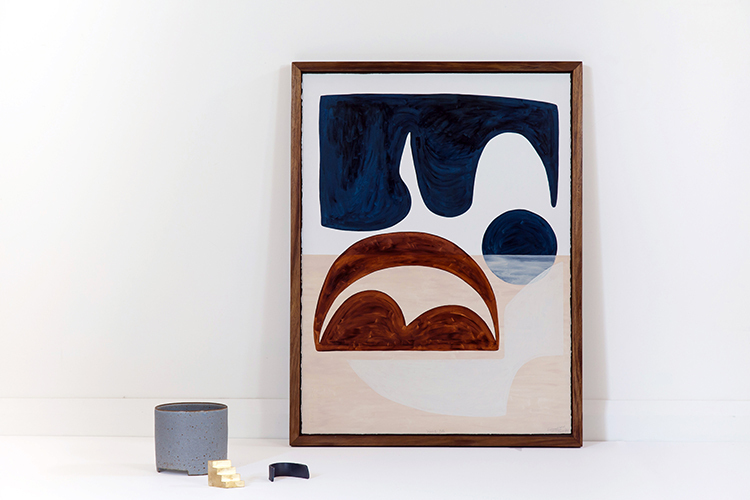 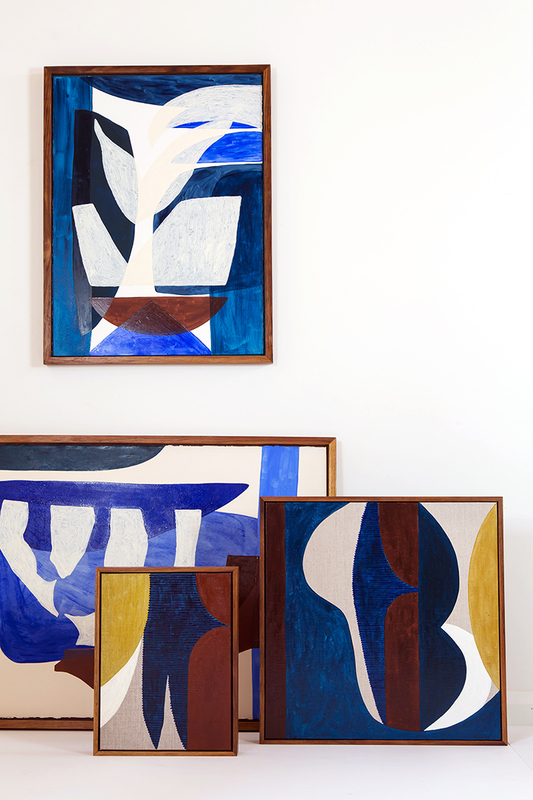 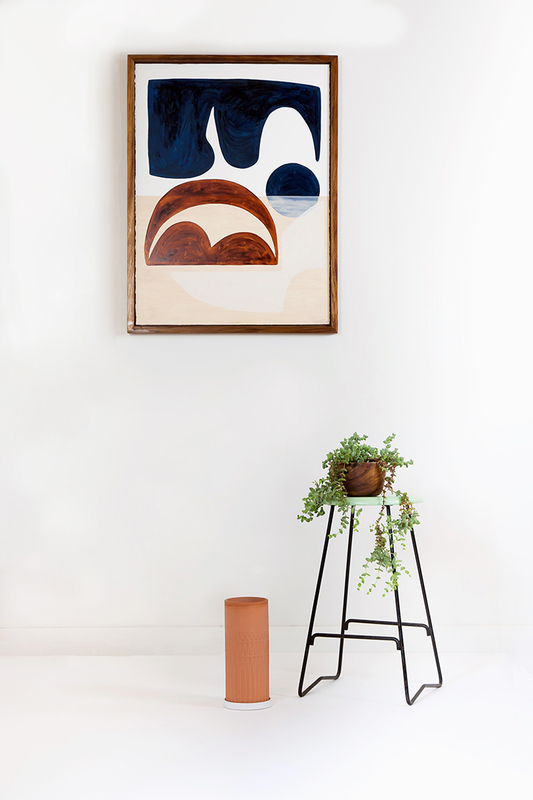 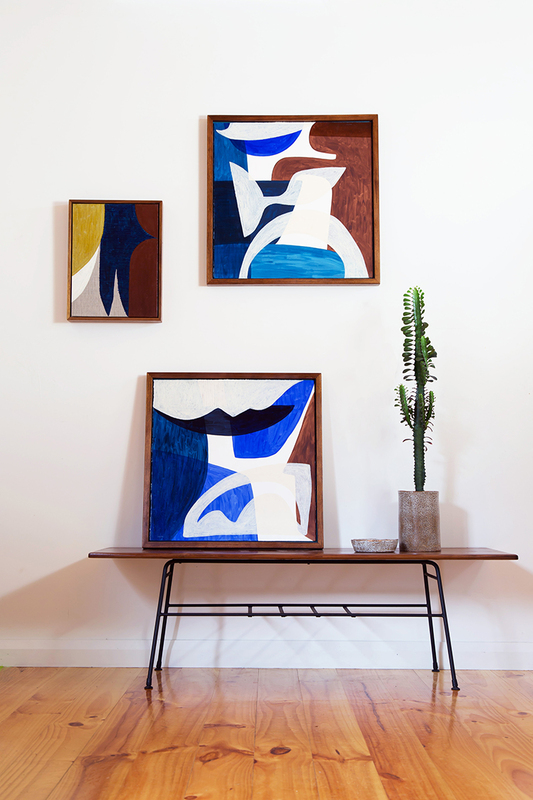 Presenting an overlapping palette of earthy tones and bold shapes with confident strokes of texture is the first solo exhibition of Melbourne-based artist, Hannah Nowlan – titled ‘Myths Moons and Mountains’. 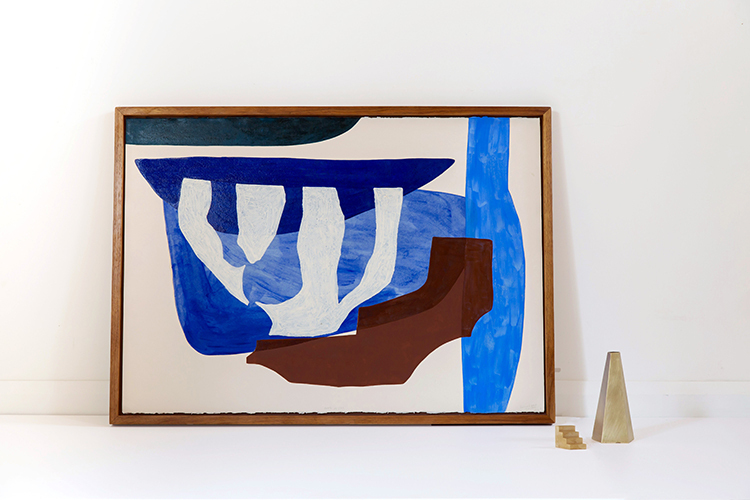 Through her beautifully bold and abstract work, Hannah explores the connection between coastal landscapes and rugged earth, influenced by both her home in Victoria and by her travels through Portugal and Spain where she was largely inspired by local mythology and cultural motifs. 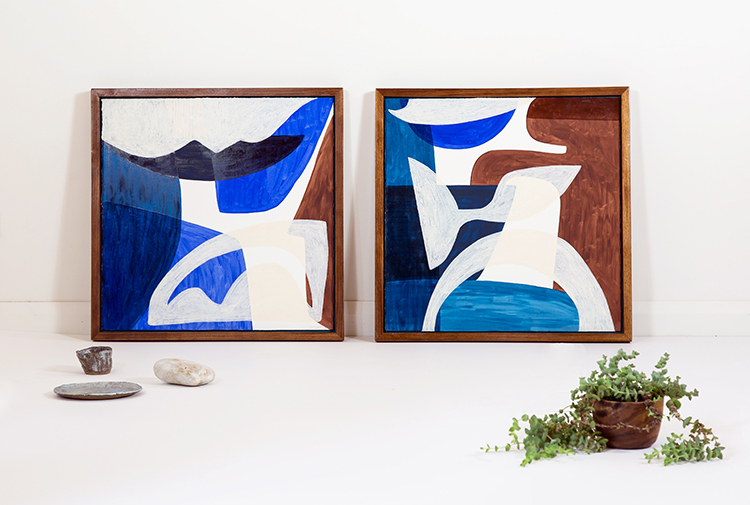 My art has always paid homage to the rugged yet relaxed atmosphere of the Victorian coastline, my travel through Portugal and Spain has evolved these elements further, resulting in new motifs and narratives. 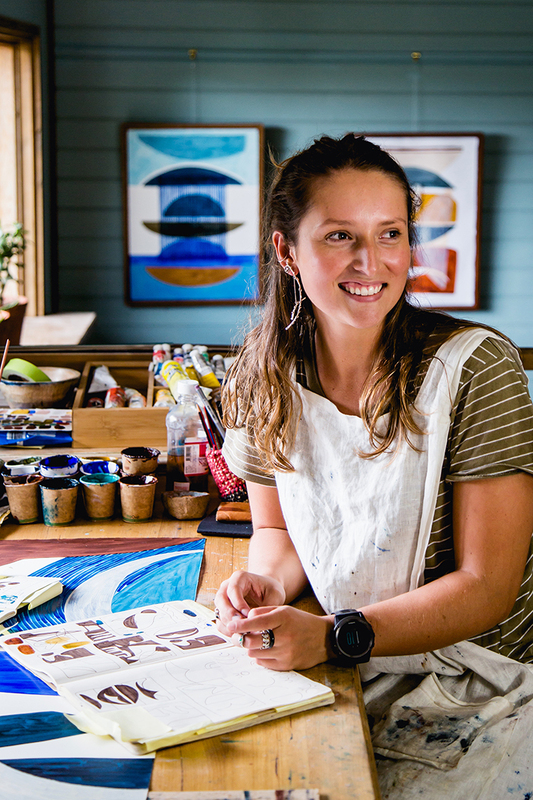 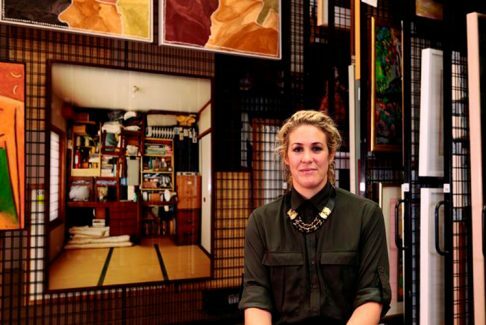 Having graduated from the Victorian College of the Arts (VCA) in 2015, Hannah now works as a Melbourne based artist and partner of family business, Grain of Descent. 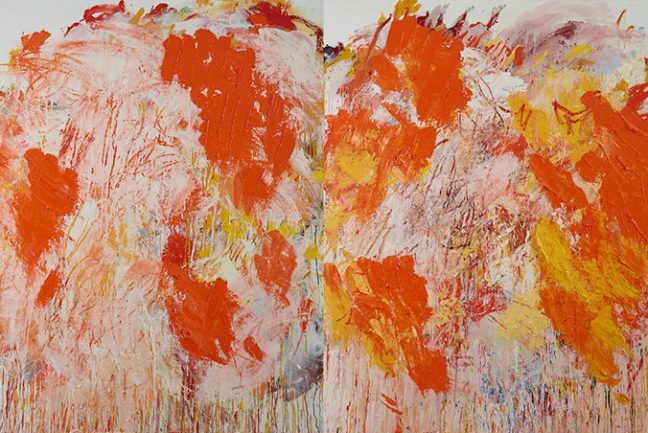 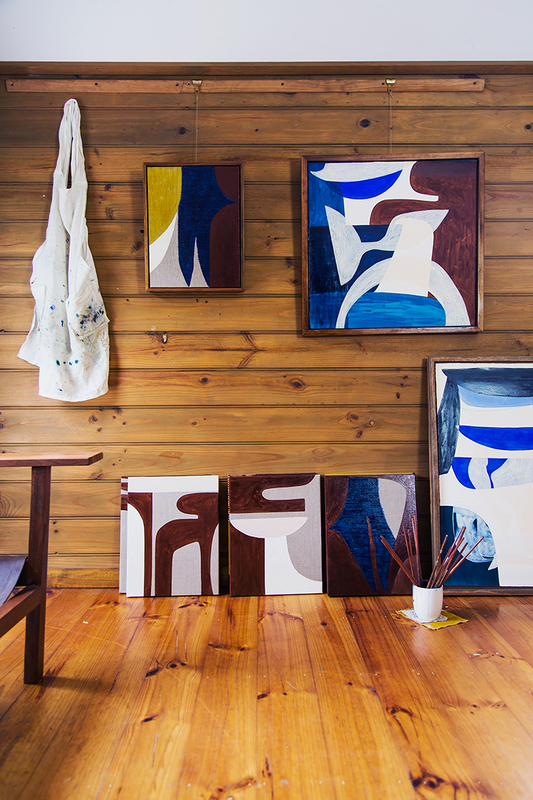 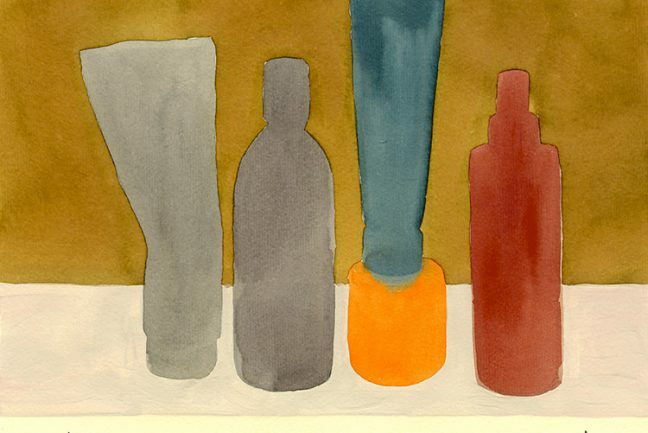 Her diverse creativity includes everything from paintings, lithographs, furniture, leatherwork and ceramics. 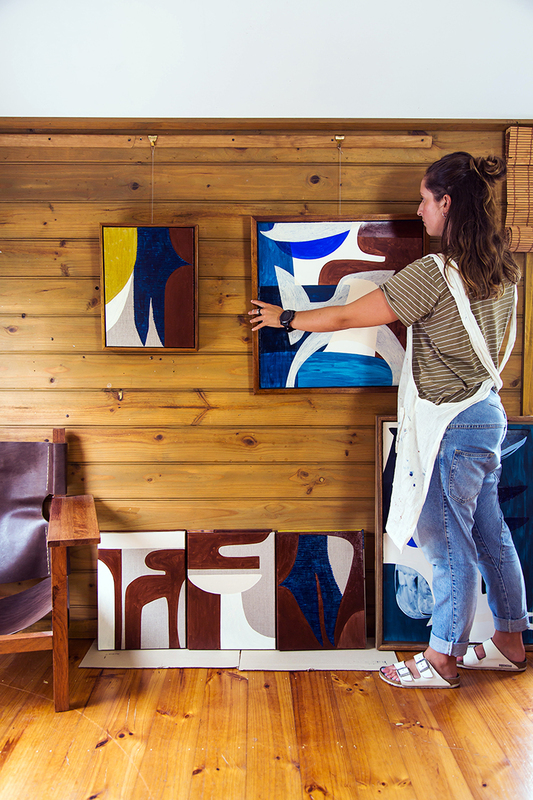 She is definitely an emerging artist to keep an eye on.